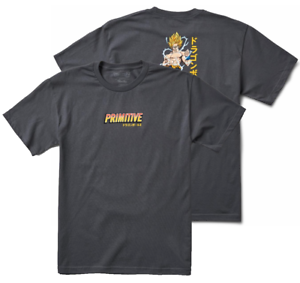 Primitive have joined forces with the legendary Japanese Anime Show Dragon Ball Z to bring us this extremely limited and exclusive run of hardware and beautiful garms. 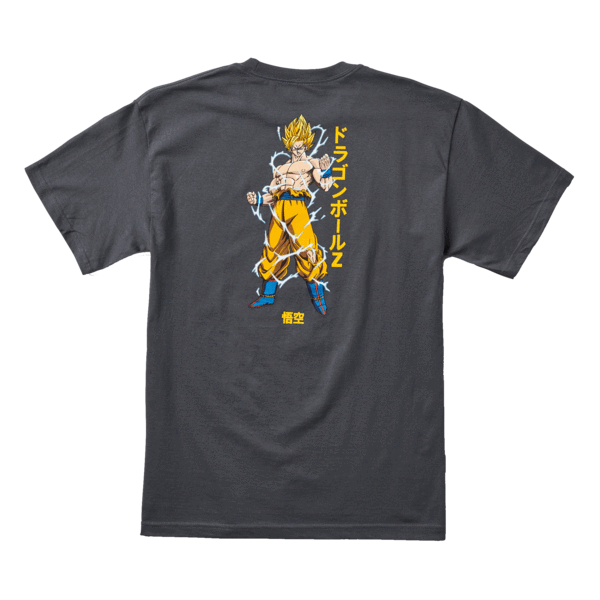 Primitive Skateboarding X Dragon Ball Z DBZ Colab brings us this stunning Super Saiyan Goku Tee in black. 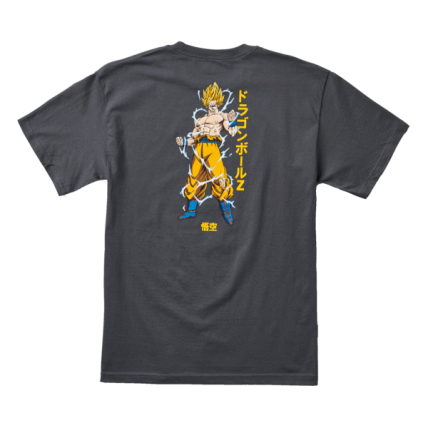 Goku is a nobleman of great moral clarity, according to google so its only fitting that this awesome tee colaborates with such a brilliant character. This super comfortable 100% high quality cotton tee is constructed in the same factory as the rest of the primitive line, so you can be rest assured, the quality control is there.